Ireland’s wealthy Georgian and Victorian landowners developed a taste for erecting architectural oddities known as follies. Here are five places open to the public where you can admire (or perhaps despair over) their romantic visions of a folly-dotted "Arcadian Landscape." 1. Dating from the 1790s, Kilfane Glen in county Kilkenny was a favorite with Victorian gentry visiting Kilfane House. They adored coming across its artificial waterfall, hermit’s grotto and a tiny folly known as a cottage ornée (ornamental cottage). Open July and August from 11 a.m. to 6 p.m. Other times by appointment: Tel. +353 (0)56-7724558. 2. 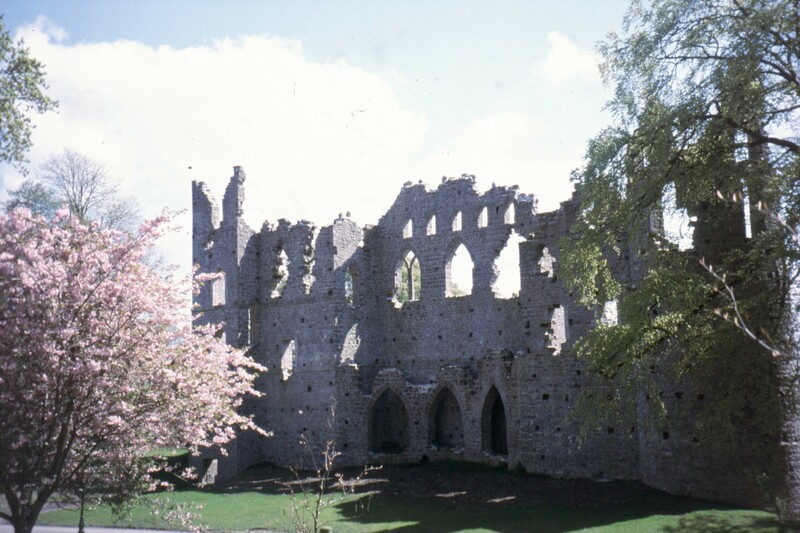 Near Oldcastle in county Meath, the original Loughcrew House was destroyed by fire (reputedly due to a curse), but its gardens and follies have been restored to their 19th-century glory. Here the Temple of the Winds is a sham Roman ruin. Discovering Ireland’s weather was wetter than back home, the Welsh workmen who constructed this folly nicknamed it the Temple of the Rains. There’s also a "Grotesque Rockery and Grotto," a Hellfire garden, a water-mill cascade and spooky woodland maze. Open daily from 12:30 to 5:00 p.m. mid-March to end of September. Winter hours are restricted to Sundays and Bank Holiday afternoons. Tel. +353 (0)49-8541356. 3. Near Kilcock in county Kildare, Larchill Arcadian Garden was created as a Ferme Ornée or Ornamental Farm. The fashion was set by Marie Antoinette of France who played at being a milkmaid at Versailles. Larchill has 10 follies. Sited on a lake where mock naval battles were once waged, one of its 10 follies is a miniature fortress. Even weirder is the "Foxes Earth," built as an afterlife refuge in the 18th century by a Mr. Watson who believed he would be reincarnated as a fox. In the walled garden, a tower folly is lined with shell decorations. Mrs. Watson loved the Shell Tower so much she was buried there. Her ghost reputedly haunts Larchill, still distressed at her bones later being moved into a churchyard. Open between June and August, Tuesday to Sunday. Other times by appointment. Tel . +353 (0)1-6287354.